In the past few years I've learned a lot about my introverted needs and also how to connect with both introverts and extroverts. Communication and interaction styles are different and when forging friendships and building communities, it really helps to consider different personalities and what types of activities work better for each individual (and for yourself!). I find that I enjoy nature both on my own and with others. It's fun to share this nature appreciation with my spouse and friends - it's great to have that in common. I'm fortunate to already have friends who like outdoor activities and nature-oriented outings, but what if you are new to a city or your friends don't enjoy Nearby Nature as much as you do? How can you find others who share this passion and interest? You can find these through local gyms and even some "outdoor" stores. In Ottawa two examples are Bushtuka which offers many events either on their own or in collaboration with other businesses and Epic Fitness which offers free community events that (get this!) even include New Moon Hikes and Forest Bathing. And some of these are even in the city - so thrilled to see this! ** I just love these event opportunities but for introverts, it might be overwhelming to go on these social outings not knowing anyone. (One option could be to bring a friend). Meet-up is great in terms of finding clubs or groups that are focused on outdoor activities along with Facebook - just search for specific terms. I found this local Woman's Outdoor club by searching on "Ottawa" + "Nature". I also found a Women's social group where you can post your location in the city and share what types of outings you like. ** For introverts there might be the opportunity to meet with some members one-on-one before a big outing especially if it's organized on Facebook where you can converse with members and make some connections. Certain volunteer jobs should appeal to introverts - especially those ones where there is something to "do" - introverts can focus on this but still enjoy being out with others. 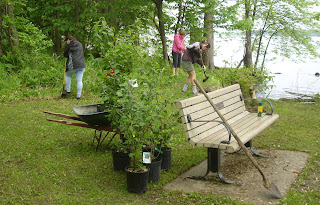 Gardening, cleaning up parks, helping with wildlife care and other similar jobs don't require carrying a constant conversation with new people. Volunteering in nature is great as it really gives us that nature boost and gets us outdoors for some activity unless you are volunteering at a booth for a festival or something - that type of job would be better suited for an extrovert! If you like this idea - here is the Wild. Here. 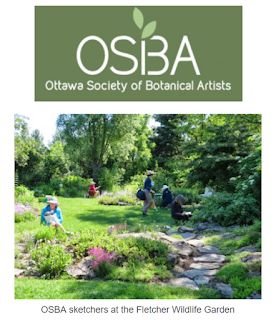 Ottawa Outdoor - Nature Volunteering page - those in Ottawa can find local activities and those who don't live in Ottawa may find this helpful for brainstorming possible volunteer opportunities that you could do in your own city! What do you think? Are there activities that you find are more suited to your own personality? Are there other activities that you would recommend? You can also check out this "Urban Exploring" post to get some other ideas of how to meet up with local nature lovers and find friends that enjoy similar outdoor - nature activities!